This lovely native plant is also called Jimsonweed or angel trumpet. 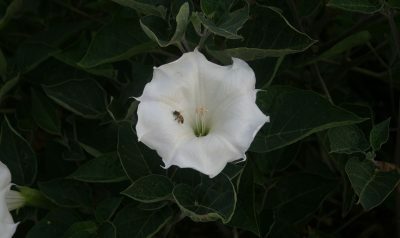 It has large, gorgeous trumpet-shaped white flowers that open at night. 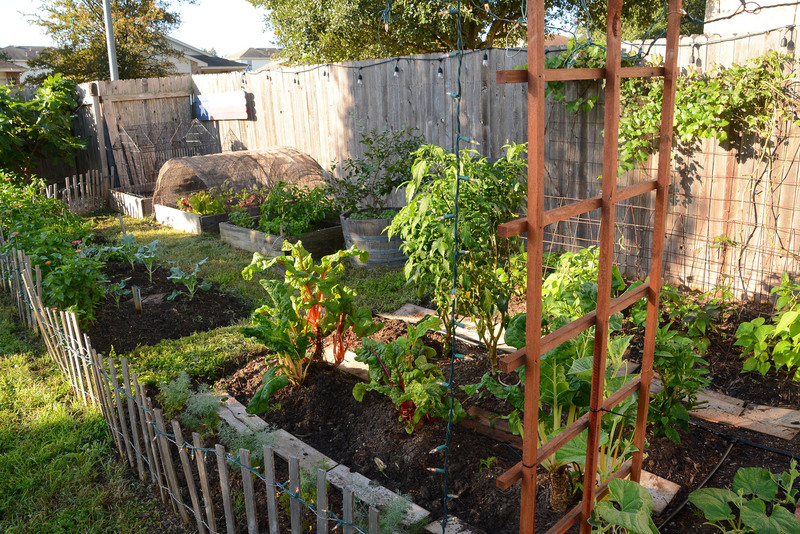 The most common way to get this plant is by having a friend share some seed with you. Once the flower has been pollinated, a very large, spiky seed head forms, containing hundreds of seeds. If you don’t collect those seed heads before they burst, you’ll find lots of Datura seedlings coming up all over the place next year, although the plant really isn’t invasive and the seedlings shouldn’t escape too far. Datura is listed as hardy to zone 9 and so it may be perennial in your garden. But most likely it will reestablish from seed, so be sure to collect and save some so that you can plant them where you want them next year, and give some to jealous friends. Datura only gets about 2 feet tall, but may spread very wide, up to 10 feet, especially if it’s getting plenty of water. 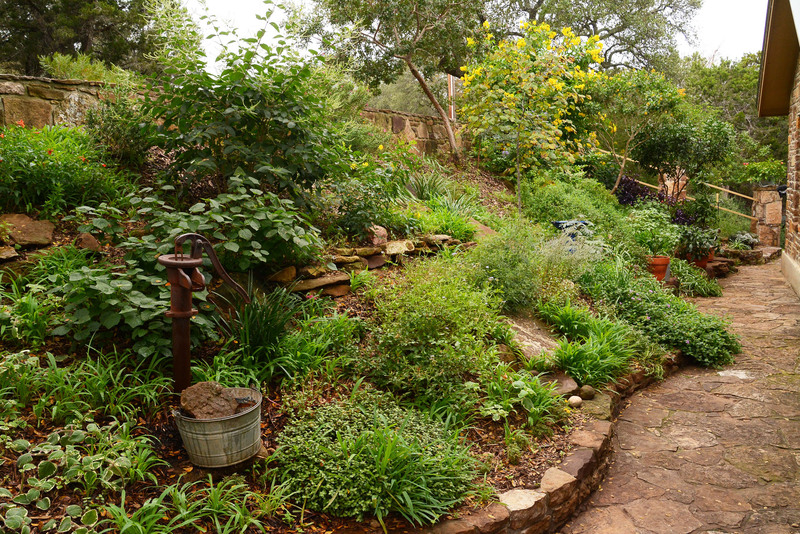 It doesn’t need much water at all and prefers well-drained, coarse soil, but if given a little supplemental irrigation, it will get a bit larger and flower more prolifically. Datura needs full sun to grow and produce those gorgeous white blooms, which usually start to show in late May or early June and cover the plant all summer long. Be very careful when handling this plant. All parts of it are poisonous if ingested. Some people are allergic and have a reaction when touching its fuzzy gray-green foliage. Datura is a great plant for xeriscaped areas in your garden, and requires very little care or attention to be beautiful all summer long, even in the extreme heat.